Providing services throughout Wisconsin and Northern Illinois for all commercial and industrial refrigeration units, AccuTemp Mechanical is here to maintain this vital aspect of your business. In order to operate your food service business, manufacturing plant, or laboratory, you need working refrigeration. Sometimes, your refrigerators give out. Other times, they just need a little extra care. At AccuTemp Mechanical, we protect the investment you have made in your business by providing regular maintenance, emergency repair service, and more for commercial and industrial refrigeration units. We maximize control of the situation—be it emergent or a maintenance scenario—while minimizing costs to you and your business. If you need industrial or commercial refrigeration services—including repairs, replacement, maintenance, and more—you should call AccuTemp Mechanical. 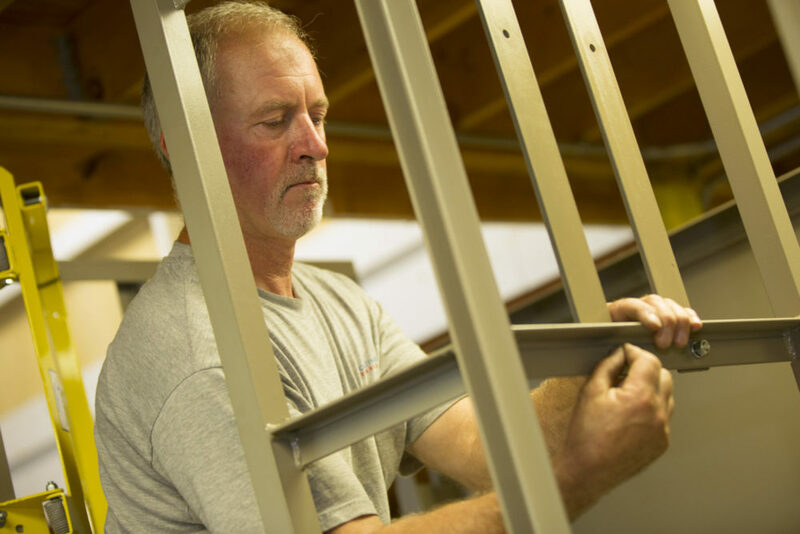 Our service and installation technicians have the experience and training necessary to get the job done right the very first time, which can minimize your downtime and save you money. Call today at 262-671-4012 to learn more about our commercial and industrial refrigeration services in Kenosha and the surrounding areas. AccuTemp Mechanical knows the importance of a functioning refrigerator; for restaurants, you need a refrigerator to protect your food products, and for laboratories and pharmaceutical locations, refrigerators allow for research to be conducted. When commercial and industrial refrigerators malfunction, the damage to your business can be overwhelming, and you need aid immediately. AccuTemp Mechanical should be your first call. To be proactive and avoid a refrigeration breakdown, our maintenance services are an ideal way to ensure your system is working at its best. Designed to benefit you and avoid the hassle of major breakdowns, our maintenance plans help pre-empt breakdowns by making sure your system is running smoothly. Why Is Commercial & Industrial Refrigerator Maintenance Important? We care about the details of energy savings and put the most monetary savings back in your pocket by maintaining the health of your refrigeration unit. By choosing maintenance for your commercial and industrial refrigeration units, you are choosing to increase your energy efficiency, optimize indoor air quality, and conserve natural resources. Green HVAC practices help improve your working conditions, extend the life-cycle of your refrigerators, and decrease your monthly cost of operations. Our maintenance plans incorporate all of these cost-saving measures. You can also request a cost analysis for variable frequency drives for existing motors to determine if a change in operating systems would help or hurt your bottom line. With close to 50 years in the mechanical and industrial HVAC and refrigeration business, we are adept at managing emergent situations regarding your refrigeration unit, as well as ensuring regular maintenance minimizes the risk of future breakdowns. We customize each technician’s visit to your needs, making sure that your refrigerator is running at optimal efficiency. We provide commercial refrigeration, ice machines, walk-in cooler repair, and other commercial refrigerator services when you need it. At AccuTemp Mechanical, we know our clients expect responsive, expert and reliable service they can count on every time they call. When you choose us, we are committed to providing the best customer experience for you and your business. 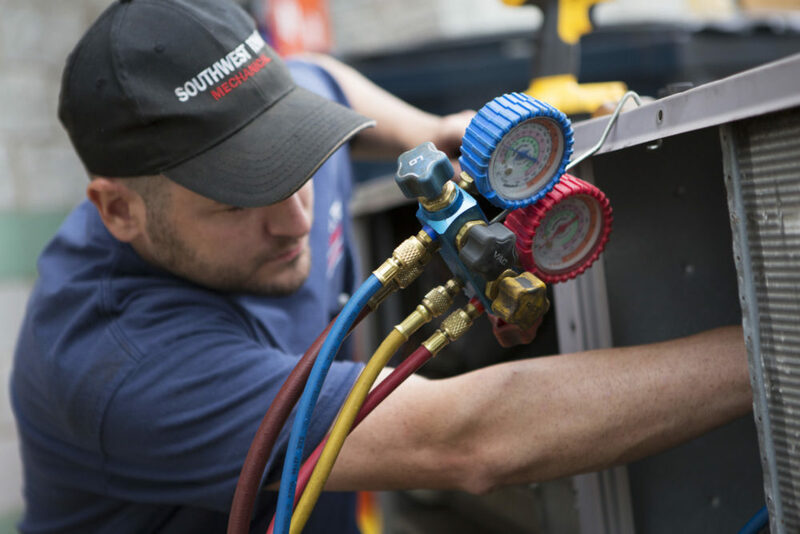 We aim to create lasting relationships with our customers and want to become your go-to service and installation contractor for all of your commercial HVAC, refrigeration, and mechanical needs! Choose AccuTemp Mechanical for your Wisconsin and Northern Illinois area refrigeration needs—we optimize current systems through our maintenance package and handle emergencies! To schedule commercial or industrial refrigeration services in Kenosha with the team at AccuTemp Mechanical, give us a call at 262-671-4012 or reach out to us online. At AccuTemp Mechanical, we strive to create a great communication channel between our talented staff and exceptional customers. If you have any questions about our services, or are ready to get started and work with us, please fill out the form.